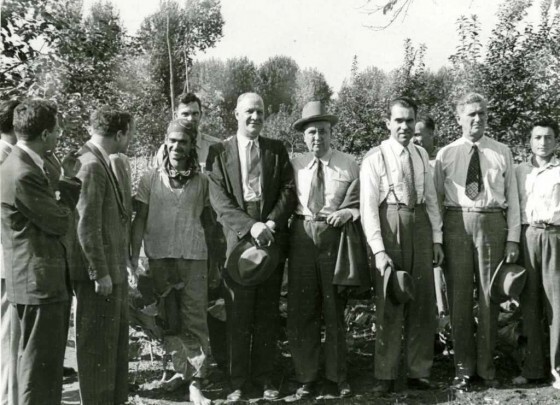 On July 30, 1947, then Congressman Nixon was selected by Speaker of the House Joe Martin to to be one of the nineteen members of a select committee headed by Congressman Christian Herter to make a trip to Europe and prepare a report in connection with the post -war foreign aid plan that Secretary of State George Marshall unveiled at Harvard University in June of that year. 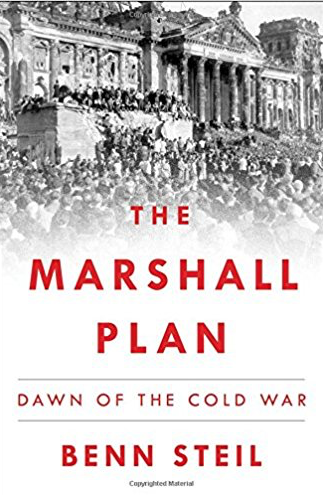 On this edition of the Nixon Now Podcast, we discuss the history of the Marshall Plan with Benn Steil. Dr. Steil is senior fellow and director of international economics at the Council on Foreign Relations in New York. He is also the founding editor of International Finance, a scholarly economics journal; lead writer of the Council’s Geo-Graphics economics blog; and creator of three web-based interactives tracking Sovereign Risk, Global Monetary Policy, and Central Bank Currency Swaps. Prior to his joining the Council in 1999, he was director of the International Economics Programme at the Royal Institute of International Affairs in London. His previous book “The Battle of Bretton Woods: John Maynard Keynes, Harry Dexter White, and the Making of a New World Order” was called “a triumph of economic and diplomatic history” by the Financial Times. — Who was George Marshall? — The theory of containment. Photo: In 1947, Freshman Congressman Nixon toured Europe to assess post-war conditions in continent, as member of special congressional commission.